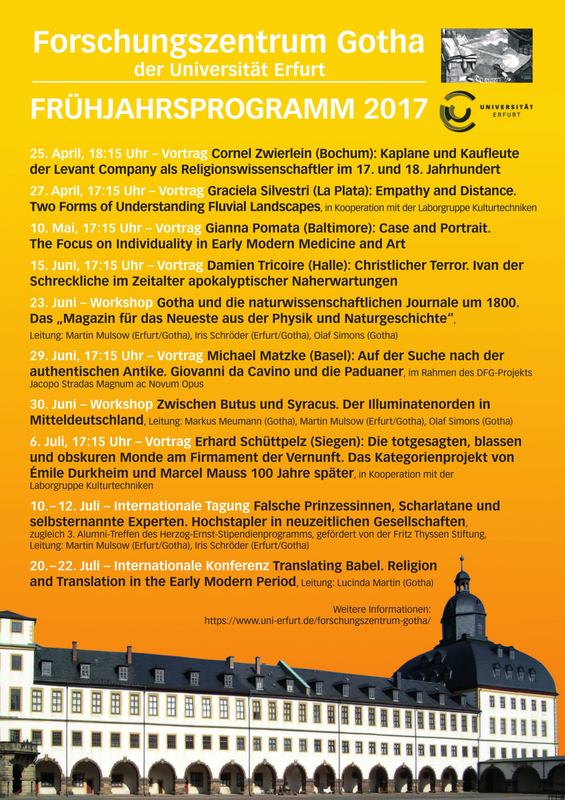 The Conference Translating Babel: Religion and Translation in the Early Modern Period will take place from 20-22 July 2017 at the Gotha Research Centre of the University of Erfurt. if a translated text were “the same” as the original. Recently, scholars such as Peter Burke and R. Po-chia Hsia have urged increased study of the role of translation in cultural encounters in the Early Modern period. They point in particular to the need for studies on religious translation, since translators do not just translate linguistic items but religion itself. culture or sub-culture at a given time? The conference language will be English and an English-language publication is planned to document the proceedings. Lodging will be covered for participants and an honorary contract will defray transportation costs. Proposals (no more than 600 words) should be sent to the organizer Lucinda Martin before 09 May 2017.